We’ve all been there: You hail an Uber, only to notice you’re at 2 percent battery power. You applaud yourself for remembering to bring your charger but then realize you’ll be lucky to reach 3 percent before you have to unplug your phone and leave. If your phone is a newer model and you don’t use it much, it may last the day anyway, but features such as voice navigation and video streaming will put a major dent in your battery life. If you’re nowhere near the end of your day, being left with a dead phone or having to wait while you charge up can be a drag. Enter rapid chargers, which can charge a drained phone battery at least twice as fast as standard chargers. Batteries work by holding a charge of electricity to power the phone. In theory, the larger the battery, the longer it should last, but battery life is strongly influenced by the power requirements of the phone. Bigger screens, for example, use more power. A battery’s capacity, measured in milliampere-hours (mAh), indicates how much charge it can hold. The term amps refers to how much charge (or current) a charger can deliver, while voltage refers to how quickly it can be delivered. The device’s overall power — how quickly and how much charge is delivered — is measured in watts. Standard chargers that come with iPhones and older Android phones carry 1 amp of current and put out 5 watts of power. New rapid chargers with technology such as Quick Charge support 2 amps and 12 watts or more, potentially charging your phone up to four times faster. Android phones such as the LG G7 and HTC U12+ that support Quick Charge 3.0 technology can be charged to 80 percent in 35 minutes. (Quick Charge 4+, which will enable five hours of battery life from five minutes of charging, will be rolling out to devices this year.) Samsung says its fast-charging wall charger with Quick Charge 2.0 tech can deliver five hours of battery life in 10 minutes — still impressive, and a godsend on a night out or long day. Quick Charge 3.0’s optimization feature charges your phone very quickly when the battery is close to empty and then slows down when it’s about half full. This helps prevent overheating the battery and damaging its long-term lifespan. Find out if your phone supports Quick Charge, and check your manual to see what type of charger was included with your phone. Not every phone can support the full power of a rapid charger. For example, the iPhone 6 supports 1.6 amps and comes with a 1-amp charger. A 2.2-amp charger like the charger for your iPad will not charge your iPhone twice as fast; you’ll only charge as quickly as your phone can handle. Older iPhones that support only 1 amp can’t be charged faster at all. To find out your phone’s amperage, search online for your model. If your phone’s battery can be removed, pry open the case and check the fine print. To avoid battery damage from rapid charging, use only authentic chargers, says Joe Silverman, CEO and owner of New York Computer Help. Fast charging from certified chargers (from your manufacturer or a third party) will not damage your phone’s long-term battery life. What might hurt your battery are knock-offs or generic chargers made from cheaper materials that don’t ground electricity properly, which causes a leaking charge that can damage the battery — a problem for about 10 to 15 percent of customers who come in with battery issues, Silverman says. Even if you use a higher-amperage charger on a lower-amperage phone, remember that certified and in-box chargers are designed for particular devices. They will not let through more power than the phone can support. 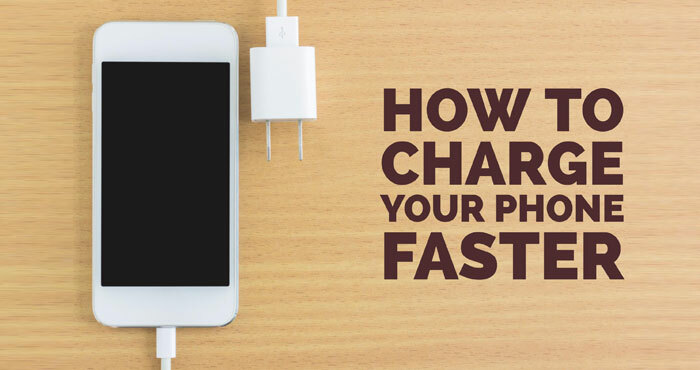 Whether or not your phone supports fast charging, you can boost how fast your phone powers up. Got a USB cable? Forget charging from a laptop. Stick your cable into the AC plug that came with your phone and plug that into the wall. Standard AC plugs deliver 1 amp of current, twice what’s possible via the USB 2.0 socket found on many computers. Third-party AC plugs may support higher amperage up to 2.4, although you’ll be limited by the amperages of your phone and your USB cable. Our picks: The Anker PowerPort+ 3 triple-USB wall charger ($26.99 on Anker.com, check price on Amazon) supports Quick Charge 3.0 and can charge other devices with current up to 2.4 amps. 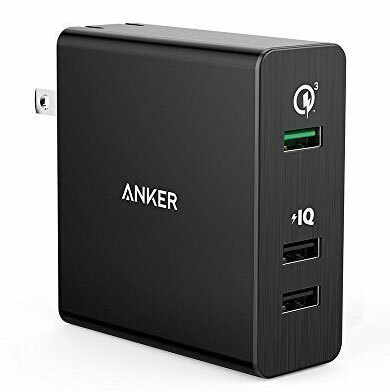 Or, if you also need to charge your laptop or game system, go for the Anker PowerPort II with Power Delivery USB-C Charger ($29.99 on Anker.com, check price on Amazon) which can deliver up to 30 watts via the USB-C port. Popular phones, including the iPhone 8 and Samsung Galaxy S8, support wireless charging. Wireless charging is slower than wired charging, but if you want to go wireless, make sure the charging pad supports the Qi 1.2 standard (up to 15 watts, though today, the Samsung Galaxy S8 can charge at 9 watts and the iPhone 8, 8 Plus and X can charge at 7.5 watts). Our picks: The Samsung Wireless Charging Pad ($39.99 on Samsung.com, check price on Amazon) supports fast Qi 1.2 charging and works with all Qi-compatible devices, including iPhones. 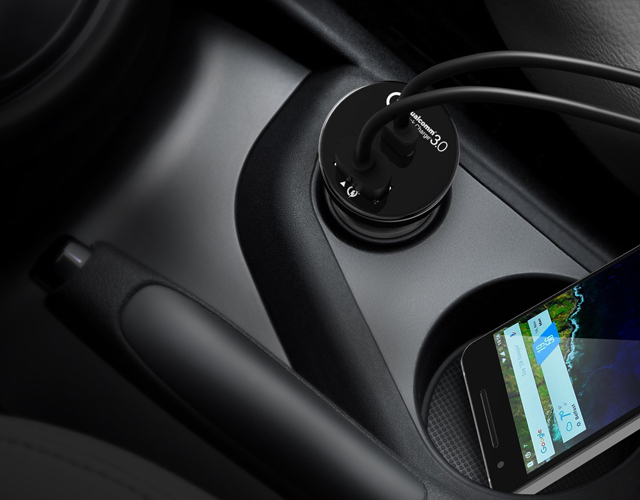 Our picks: The Anker PowerDrive Speed 2 with Quick Charge 3.0 dual USB Car Charger ($25.99 on Anker.com, check price on Amazon) plugs into your car's cigarette lighter and charges two devices—tablets and smartphones—at the same time. If you need to charge a higher-drain USB-C product, step up to the Aukey USB-C Car Charger with Quick Charge 3.0 ( $15.99. check price on Amazon). 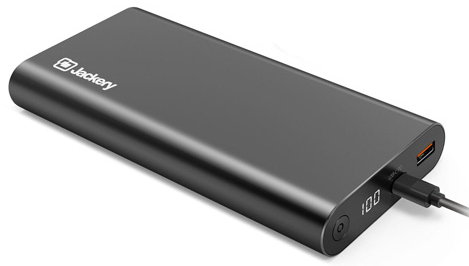 Our pick: The Jackery SuperCharge 26800 ($99.99 on Jackery.com, check price on Amazon) is a 45 watt USB-C charger capable of quick charging your phone and even powering your laptop or portable game machine. Jackery claims to charge an iPhone 8 to 54 percent in 30 minutes, compared to 28 percent with the charger that comes in the box. With 26,800 mAh of capacity, you'll get about 10 charges from a full SuperCharge 26800. The USB 3.0 standard supports up to 1.5 amps of current when charging without data transmission. Using a USB 3.0 cable in a USB 3.0 port charges your phone faster, assuming your phone supports 1.5 amps or more. If you charge your phone from a USB 3.0 port on your computer, turn on Airplane Mode to ensure your phone won’t try to sync or interact with the computer. Otherwise, the allowable current is capped at 0.9 amps. Check online to find out if your computer model has USB 3.0 ports. Our picks: Try the AmazonBasics USB 3.0 cable ($5.49) for USB 3.0 to Micro USB. 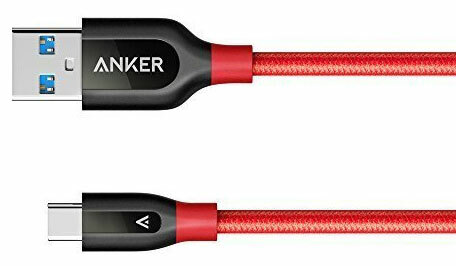 And for USB-C Phones, the Anker Powerline+ USB-C to USB 3.0 cable ($10.99, check price on Amazon) is an extra-durable cable for rapid charging and data syncing. The standard iPhone 6 1-amp charger can take the phone from zero to full in around three hours, and the 2.1-amp iPad charger can halve that, says Silverman. Or pick up an Apple-certified third-party wall charger. Without Pokemon Go or email sucking up processing power, more juice goes where it’s needed sooner. If you can’t live with a turned-off phone, let your screen go black to get more power to the battery. When you hit a certain battery level, this handy setting for iOS and Android devices automatically dials back screen resolution, animations, background app refreshing and other battery drainers. It’s an impressive extension of battery life, and Silverman says this feature doesn’t affect how fast your phone charges. ,also turn off mobile data connection as it is a battery drainer..
*Also if the phone isn’t needed for communication at that time like at night,put the phone in airplane mode as the battery drains as phone searches network signal. *Use phone optimisation and task killer apps to stop all or unwanted or battery draining apps while charging. *limit the number of running apps at once for fast charging. *on hardware side use more powerful chargers like those of 9V output instead of the conventional 5V. 1. Most phone optimization apps are rubbish and do very little. What you want to focus on are wakelocks, which is a permission apps get to continue running and keep the phone awake even when they are in the background or the screen is off. 2. Don’t use task killer apps. They do more harm than good. They reduce RAM usage at the cost of CPU usage when you need to reload the app, which is silly in an age when we have 4-12GBs of RAM on our devices. If you can’t manage wakelocks and find an app draining your battery, it’s better to close only that particular app manually when not using it (or force close if necessary). 3. Voltage is irrelevant to charging. It’s all about the wattage (Voltage x Amperage). And as stated in the article, using a higher wattage charger is useless if your phone (and cable) don’t support higher charging speeds. Ultimately the greatest bottleneck is the CPU of your phone and how much charge it can pull, but a fast charging cable that can carry a higher current is also necessary. For example, newer devices will only achieve the fastest charging rate with USB C to USB C cables. Even the newest iPhones benefit from USB C technology for fast charging.